We often travel far and wide to service weddings, and this past weekend was no exception.We sent a team to Saxonburg, Pennsylvania to set up a wedding that was set to take place at Armstrong Farms Westminster Preserve. Once on property, we followed the signs that directed us to their beautiful, rustic red roofed barn. The grounds left us surrounded by natural beauty, the perfect setting for a wedding. Once inside the barn, it is obvious why this is a sought after wedding venue for many. The natural barn wood makes for a perfectly romantic ambiance. Paired with string lights and personalized decorations, the barn allows for endless possibilities. Pictured below is the guest book table which included a handmade card box crafted out of a log, how creative! 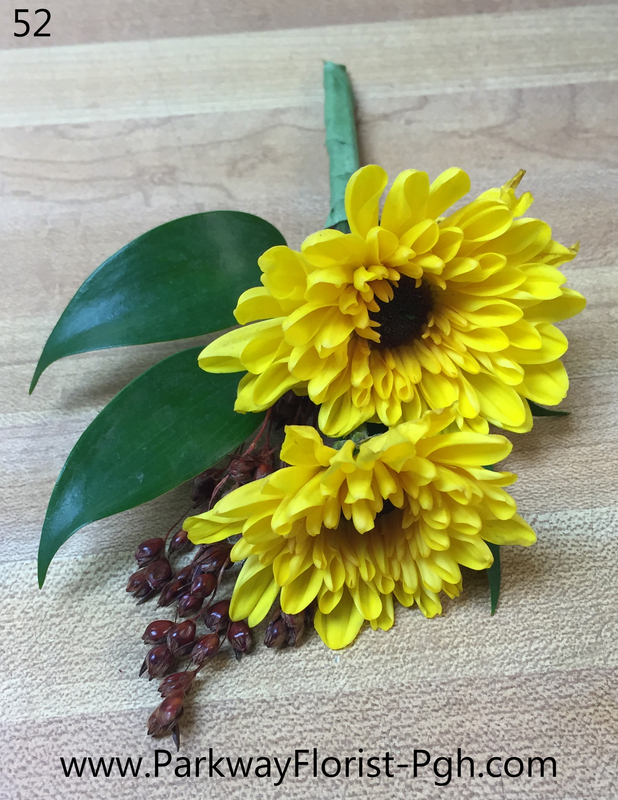 We supplied several yellow chrysanthemum plants that were used to decorate the ceremony and reception sites. 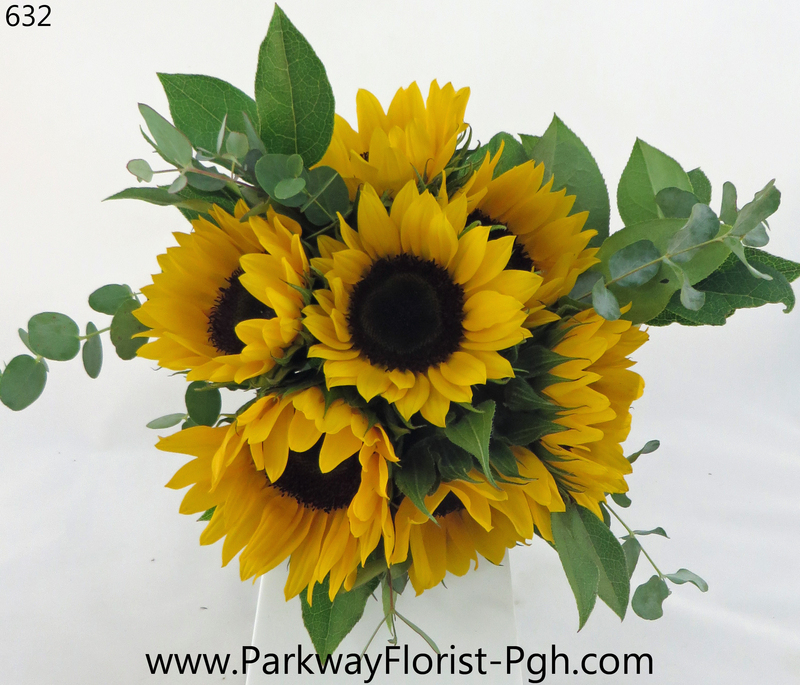 The centerpieces for the guest tables consisted of fresh locally grown flowers arranged in mason jars. These were placed on top of burlap runners and accented by tea light candles to add more ambiance. Unfortunately, there was a fairly high chance of rain that day, so we weren’t completely sure where the ceremony was going to take place. Plan A was to set up down by the lake in front of the gazebo. You can see why all of our fingers were crossed. Check out those gorgeous views! 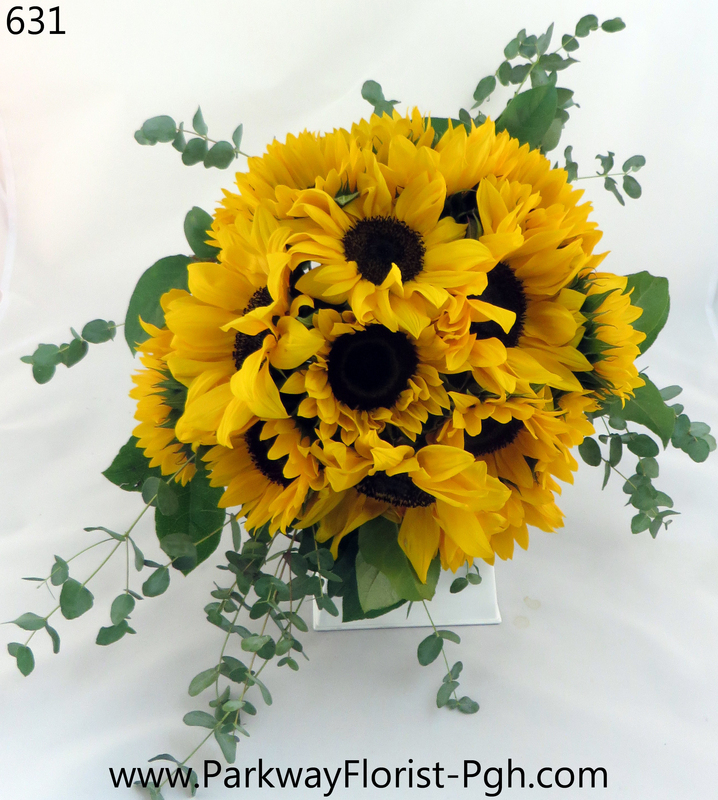 What better to go with this rustic venue than sunflowers? We had no shortage of them, there were plenty to go around for the entire bridal party. 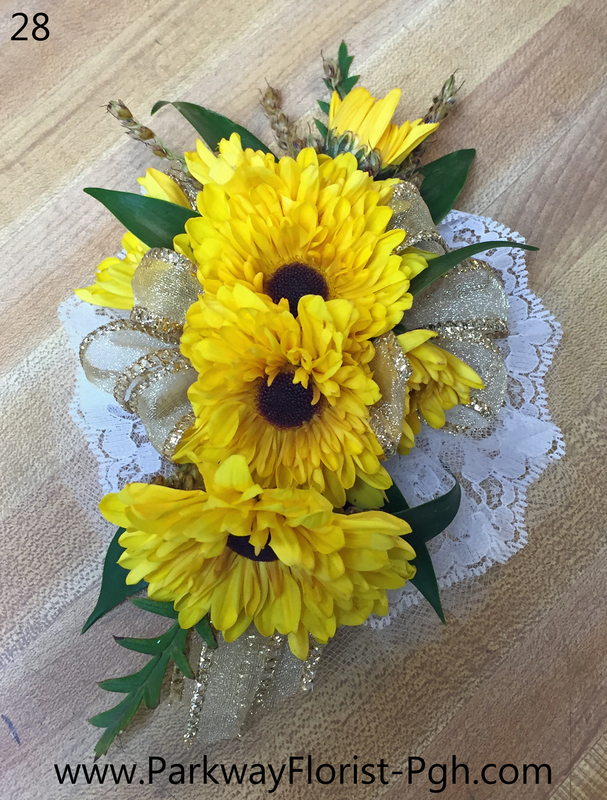 The boutonnieres and corsages were made out of little Viking pomps which look just like baby sunflowers. We have to say, Jessa did a great job of keeping a unified, cohesive theme throughout her wedding. And we were glad to help! Lastly we brought a bouquet for the bouquet toss. This too was made of the little Viking pomps and it looked just like the real thing. Congratulations Jessa & Rob, we wish you many years of happiness together and we were thrilled to be a part of your big day! This entry was posted on October 12, 2016, in Weddings - 2016 and tagged armstrong farms wedding, barn wedding, burlap, farm wedding, mason jar flowers, outdoor wedding, rustic wedding. Bookmark the permalink.